The Winchester Model 1876 is associated with Teddy Roosevelt and with the wild west era. It is a rifle that was iconic even before Steve McQueen immortalized it in his classic movie Tom Horn, a movie which blended history with folk-law in the best Western tradition. 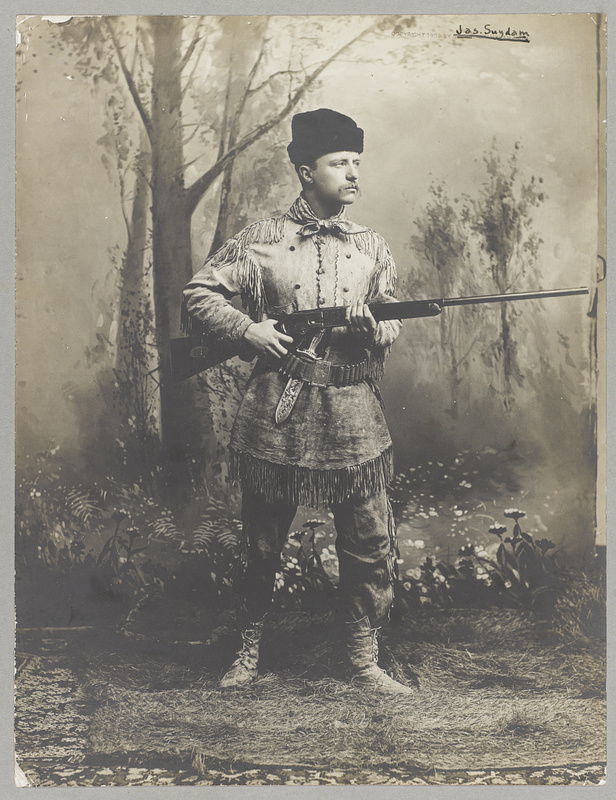 Roosevelt posing with his Winchester 1876 Express rifle with 26″ barrel and half magazine. Hunting knife is by Tiffany’s. (Picture courtesy Library of Congress). With its slab sides and solid appearance the Winchester 1876 is an imposing rifle. Chambered for 40-60, 45-60, 45-75WCF and the 50-95 Express this was a classic American big game rifle, also good for the range wars and Indian wars that characterized the period. It was truly a rifle of the “Wild West”. This rifle for sale on Cabela’s is an original Winchester 1876 shipped from the factory in 1880. The Winchester 1876 was created from a prototype of 1868 that did not enter production. This was a rifle chambered for full size centerfire rifle cartridges as opposed to its predecessors which used handgun ammunition. The rifle was made in four versions, the carbine with a 22″ barrel, the Express Rifle with a 26″ barrel and a half magazine, the Sporting Rifle with a 28″ barrel, which is the type of the sale rifle pictured, and the Musket with a 32″ barrel. 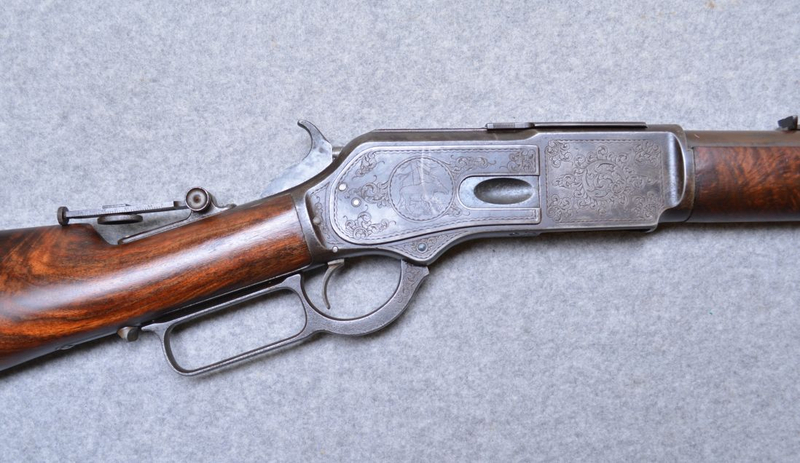 This was the only repeating rifle known to have been used by professional buffalo hunters. This model features tasteful engraving of hunting scenes. 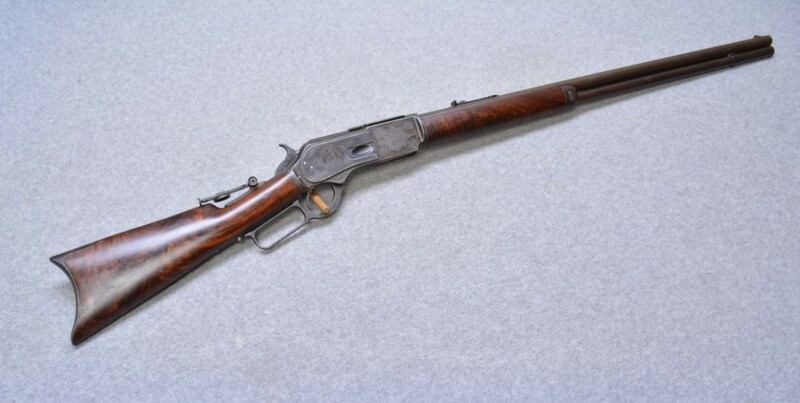 This antique rifle that is for sale on Cabelas can be found if you click here. The stock wood on this antique piece is very interesting and pretty. 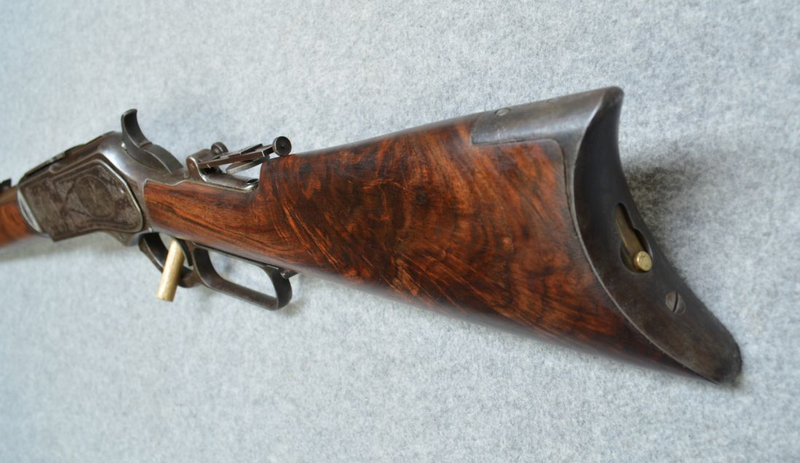 The wood on this rifle is a delight to the eye. 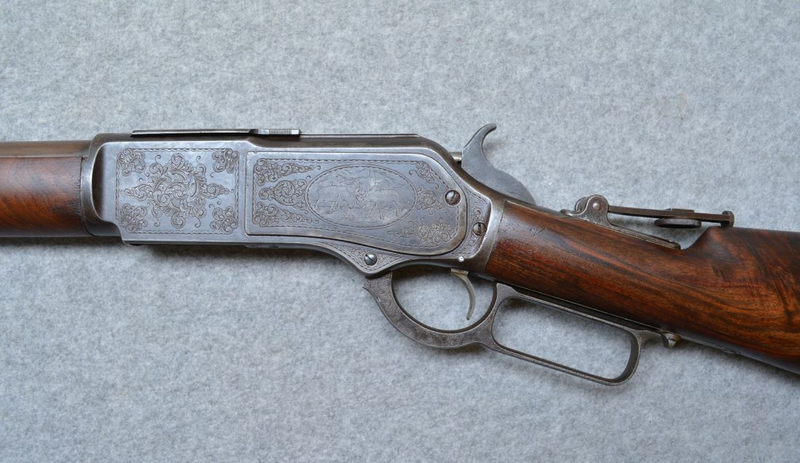 For those looking for an affordable non-antique Winchester 1876 there are reproductions made by Uberti and Cimarron. The 45-60 cartridges can be made by shortening 45-70 brass. You’ll find an article on reloading for the 45-60 in downloadable PDF format if you click here. The Winchester 1876 is a rifle with a lot of character, that was used by some of the most famous characters of American history. It is both a nostalgic piece, and a practical hunting rifle to take out to the deer woods. You’ll get an appreciation of the size and enjoyment potential of the reproductions of the Winchester 1876 in the video below from hickok45. (All pictures of the sale rifle courtesy Cabela’s).